Arik Roper, the artist responsible for all those killer album covers for doom metal band High On Fire, is releasing a new print via Monolith Press. 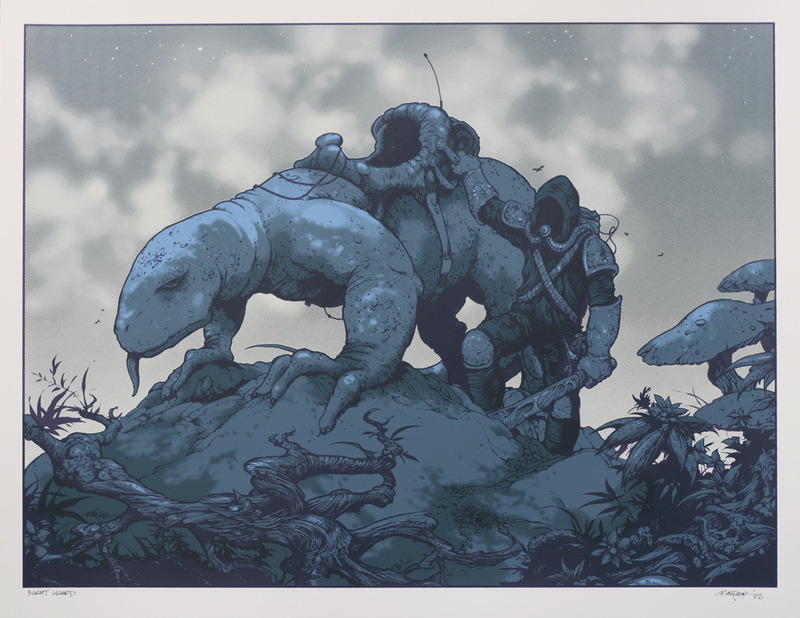 “Night Lizard” is a 17″ x 22″ signed and numbered screenprint and cost $50. It goes on sale today 9/1 @12pm PST HERE. This entry was posted in Art Prints and tagged Arik Roper, Night Lizard by admin. Bookmark the permalink.